Sail down the Moscow River and admire the city’s beautiful landmarks that dot the river banks. 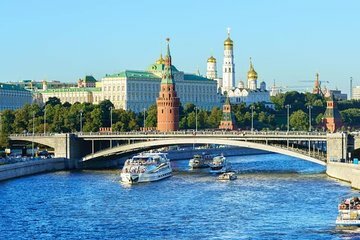 See the famous Cathedral of Christ the Savior, the impressive Moscow Kremlin, St. Basil’s Cathedral and much more. Sit back and enjoy the relaxing ride through the city and listen to commentary about each sight with a provided audio guide.